Hyundai had teased the front-end of the all-new Verna that will launch soon a few days back. 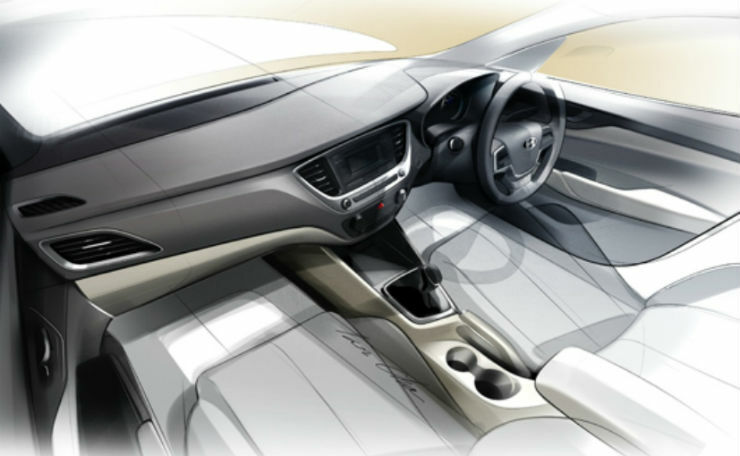 Hyundai has released a new teaser of the interiors of the all-new Verna. The all-new Verna is expected to be launched in August this year. The all-new Verna is nothing like the current generation, Fluidic Verna. Hyundai did cash in on the absence of a powerful diesel mid-sedan in the segment when the current generation was launched but with the arrival of the fully loaded variant of Honda City and the Maruti Ciaz diesel hybrid shifted the balance away from Verna in the market. 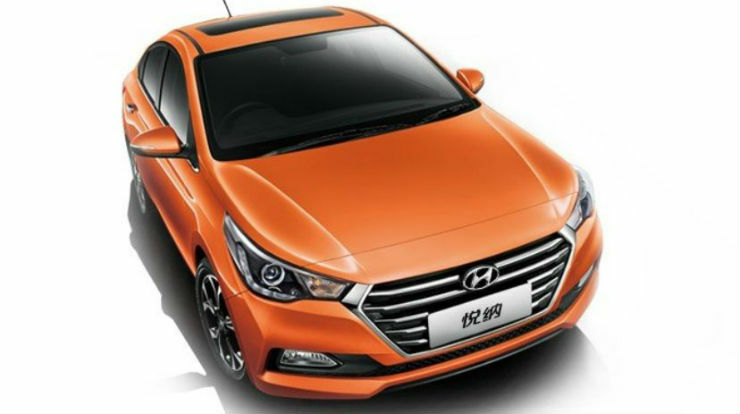 To cope with the stiff competition in the market, Hyundai will bring in the up to date Verna that has recently gone on sale in the international market. The all-new Verna gets the familiar family face with a bigger hexagonal grille, something that we have seen on the new Xcent and the Elantra. It gets a new headlamp cluster with projector headlamps and LED DRLs. The car also gets new alloy wheels, a new bumper and new fog lamp housings. On the inside, the all-new Verna will get extensive updates like new infotainment system which will be complaint with Android Auto and Apple CarPlay. The system will be similar to the one in the Hyundai Elantra. The Verna will get similar engine options that come with the current generation. There will be the most powerful 1.6-litre diesel engine that generates a maximum of 126 Bhp-259 Nm and 1.6-litre petrol generating 121 Bhp – 155 Nm. Other engine options include 1.4-litre diesel that generates a maximum power of 89 Bhp-220 Nm and 1.4-litre petrol generating 106 Bhp-135. The Verna will come with both automatic and manual transmission. After the recent GST implication, Hyundai may not bring the hybrid version that it was once planning to get FAME subsidies.